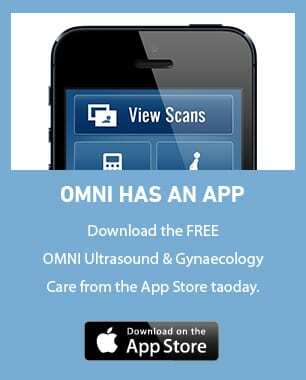 OMNI has a non-invasive technique to diagnose abnormalities in the uterus. Most women with a miscarriage undergo surgery in the form of D&C (dilatation and curettage). At OMNI, selected women with miscarriage can be managed non-surgically or expectantly. This means that the woman can avoid hospital admission, general anaesthetic as well as instrumentation of her womb (uterus). Up to 70% of women offered expectant management will take this option. Expectant management means just that: a “watch and wait” approach to see if nature takes its course and allows the miscarriage to complete spontaneously. Women who are eligible for expectant management will be followed-up with ultrasound on a weekly basis. If the miscarriage is not complete after two weeks, then D&C should be recommended. Not all women will be suitable for expectant management of their miscarriage. If there is heavy bleeding with clots or there are any signs of infection at the initial consultation, surgery will be arranged with your Obstetrician. Importantly, expectant management of miscarriage does not affect future fertility. OMNI specialises in investigating couples with recurrent miscarriage. Women who have had a miscarriage may be divided into two groups; those who have suffered a single, sporadic miscarriage and those who repeatedly miscarry. Recurrent miscarriage is usually defined as the loss of three or more consecutive pregnancies. The difference between sporadic and recurrent miscarriage is important. It helps us to predict the chance of a successful pregnancy in the future, and the likelihood of there being a recurring cause for the loss of the pregnancy. Until recently there has been no simple, non-invasive way to reliably diagnose abnormalities in the shape of the uterus. This has changed. Omni has the most up to date 3D/4D ultrasound scan which gives clear pictures of the shape of the uterus. As part of the work up for recurrent miscarriage, you will undergo a transvaginal 3D/4D scan which determines whether there is the presence of a uterine structural abnormality. Using this new technology, we arrange to plan corrective surgery for some of the more common abnormalities such as a uterine septum. The most common cause for a single miscarriage is a chromosomal abnormality of the fetus. The chromosomes carry the genetic information and the fetus inherits one half of its chromosomes from the mother and one half from the father. Errors in the transmission and the division of the chromosomes can occur and lead to the fetus having either too many or too few chromosomes. In many of these cases, the chromosome content is incompatible with life and the pregnancy miscarries. It is important to stress that these errors occur randomly and are rarely a cause of recurrent miscarriage. If a parental chromosome abnormality is found, referral to a Clinical Geneticist, a doctor with a special interest in this field, will be offered. The chances of a successful pregnancy in the future will depend on the specific type of chromosomal abnormality. The importance of blood clotting disorders in causing recurrent miscarriage has now been firmly established. Whilst it has been known for a considerable time that a woman’s blood becomes thicker in pregnancy, it has only recently been established that this process is more pronounced in some women compared with others. If blood clots occur in the blood vessels of the placenta the blood flow to the baby is decreased and this can lead to either miscarriage or, if the pregnancy proceeds, to the birth of a baby that is smaller than he or she ought to be. Many cases of recurrent miscarriage will remain unexplained even after detailed investigations have been performed. Importantly, the prognosis for a future successful pregnancy in the unexplained group is usually better than it is for couples in whom a recognised cause is identified. In summary, no news of an abnormal test result is usually good news.